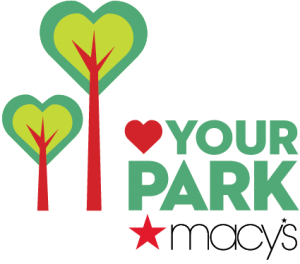 The City of Tucson’s Michael Perry Park has been selected for “Heart Your Park,” a program introduced as part of Macy’s “Secret Garden” campaign that aims to raise awareness and dollars for local parks across the country. Michael Perry Park is located at 8700 E. Arbor Street on Tucson’s east side at Golflinks Road and Pantano Parkway. From March 7 to March 31, customers at Macy’s can donate $1 or more at the register, with 100 percent of the donations benefiting Michael Perry Park. To further spread the love, Macy’s will match the total customer donation across all stores, dollar for dollar, up to $250,000 in total. “Heart Your Park” is part of Macy’s “Secret Garden” spring campaign that will come to life at Macy’s stores and on macys.com with an infusion of garden-inspired merchandise, special promotions and events. For more information on “Secret Garden,” visit macys.com/secretgarden. For a full list of the parks benefiting from Macy’s “Heart Your Park,” visit macys.com/parks.